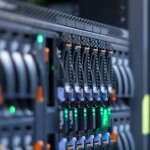 Before you start your new website you need to choose the best web hosting plan that exists. There several various types of web hosting – VPS; Cloud; Dedicated and Shared. Since Shared and VPS hosting are used more often we decided to share with you the advantages and disadvantages of both Shared hosting and VPS hosting. First we will talk about Shared Hosting. Shared Hosting is like you live with a roommate with whom you share the responsibility and the bills. Now that we gave a short description of what Shared hosting is let’s take a look at the advantages, disadvantages and in which situations is better to choose this type of hosting. Shared Hosting is better, if you have a plan to start up with borrowed money, if you expect low rate of visitors per day, or if you will host only your site and maybe a couple of blogs. Shared Hosting is a good option if you have limited numbers of blogs and sites. Shared Hosting gives you the opportunity to install all kind of software’s. With Shared Hosting you can also demand for more space to storage information. Those are just some of the advantages of the said hosting. But as we all know, everything has its good and its bad sides, Shared Hosting is one of those things too. 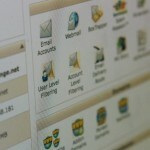 Because of that we will list some of the disadvantages in using this kind of hosting. Here are some of the disadvantages you might face, if you choose Shared Hosting: There is a possibility that your site will be badly affected by other sites on the same host. You might face security problems as well as long terms problems with your site. Now that you know what you can expect from Shared Hosting, you can decide whether or not to choose it. Now as we said in the beginning of the article we are looking at both Shared Hosting and VPS Hosting, and as you probably figured its time to talk about VPS Hosting. VPS Hosting is an option for you, if you have a plan to host more than one site and blog, if you expect your traffic to increase in the upcoming months or if you want to work with confidential data. If you choose this type of hosting, you will have enough space to do what ever you like. You can configure anything you want after all, the server is yours. You will have 24/7 costume service (if management is included) and better security. And you can upgrade subscription at any time you’d like. Now that you know the advantages on this type of hosting, let’s take a look at its disadvantages. With this kind of hosting you will need a dedicated administrator to take care of it, also this hosting is not as cheap as Shared Hosting, so prepare with good money if you choose this type of hosting. The last knows disadvantage is that you have to be careful with some of the applications as they might have issues running on your site. 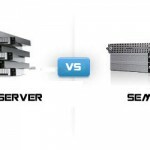 You have decided to start with Shared Hosting at first and then to move on a VPS Hosting? For users like you we decided to list you situations in which its time for you to move to VPS Hosting. 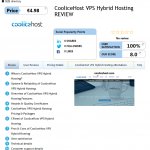 If you feel that your ready to move from your Shared Hosting to VPS Hosting. If your site has started to consume your processors. If you feel that your ready to have full control over your site. Well that’s all for shared hosting and VPS hosting folks. We hope that once again our article has helped you or at least made you think about the host you are using.